Being a music reviewer has its ups and downs and the amount of music that you get sent to review can be a bit of both. I get concerned that, because I have such a large amount of new music to listen to, I will miss out on a hidden gem. It may go under my radar or I may just not have the time to listen to it. There are some albums though that, when you have heard them for the first time, you won’t forget. They can immediately grab your attention or, like some of the best music I’ve heard, they can pique your interest and make you want to investigate, these I call the ‘slow-burners’. 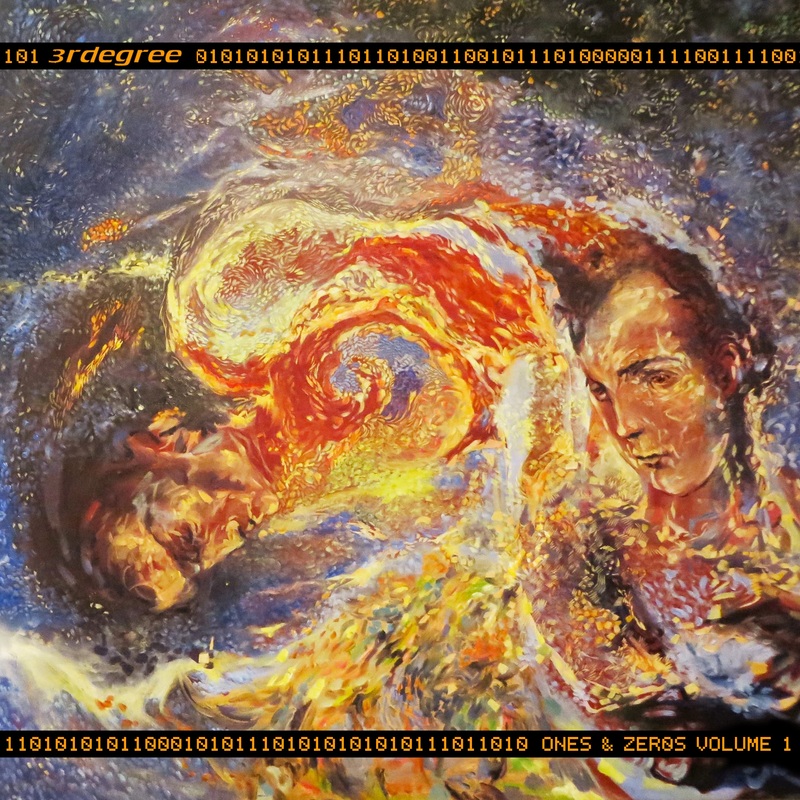 I had become aware of a small but very charismatic record label from the USA, 10T Records, due to reviewing two artists who are on the label, Heliopolis and Box of Shamans and this led to me dipping into the music of one of the other acts on the label, 3RDegree. I was sent their 2012 release ‘The Long Division’ and was suitably impressed by their traditional progressive rock style with a nice twist to it. Informed that the new album ‘Ones and Zeros (Vol. 1. )’ would be along in the near future, I sat back to await its arrival. 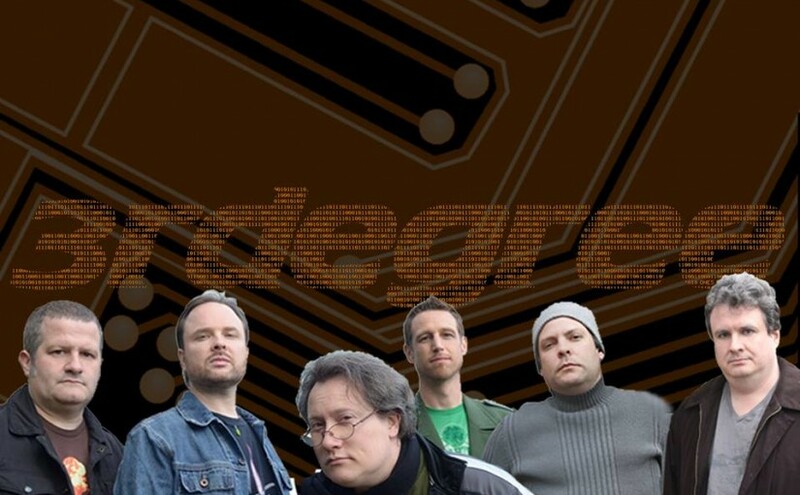 Founded at the tail-end of 1990, 3RDegree formed when Robert James Pashman (vocalist,bassist, and keyboardist) found drummer Robert Durham and, by the next summer, added guitarist Pat Kliesch to the fold. 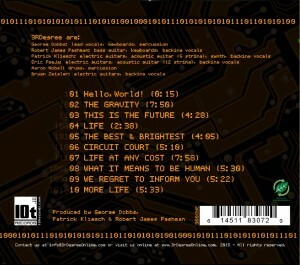 They released their first album (actually a cassette) ‘The World in Which We Live’ in summer 1993. The writing and recording of the follow up continued until 1995 when the band recruited vocalist and keyboardist George Dobbs. The CD ‘Human Interest Story’ was released in April 1996, unfortunately, due to the unforeseen pressures of the music scene, the band disbanded in 1997. The original power trio got back together in 2005 and got Dobbs back on the scene two. Reunion concerts were played which saw Eric Pseja (guitar and backing vocals) join the band. Aaron Noble replaced Durham on the drums and the band found themselves working on two albums at the same time. The guys decided to go with the political/apolitical focused songs in light of the approaching American election year. 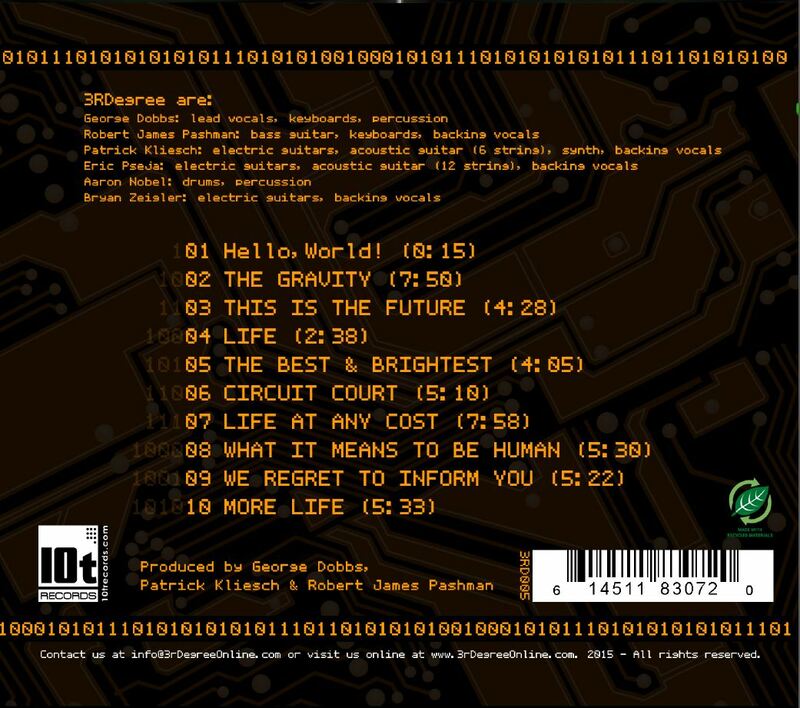 With its album cover and song list, the 2012 US election had a soundtrack, if anyone cared to listen to it, and its name was ‘The Long Division’. 2015 has seen the addition of Bryan Zeigler (lead guitar, backing vocals) to the band and the brand new album ‘Ones and Zeros (Vol. 1. )’ which is thematically linked around the issues of transhumanism, life extension, the singularity, and the ethics associated with the rapid progress of technology. Time to get on with the review me thinks…. A really heavy and dynamic riff kicks down your door and introduces you to This Is The Future, this soon calms down and that really positive and optimistic edge returns. There is a real American Prog undertone to the music, hints of Echolyn and The Aaron Clift Experiment abound and it matches the subject matter perfectly. The class act is the harmonised vocals which lift everything well above the norm. The A.I. style voice over at first jars for this listener, a contrast to the organic feel of the rest of the music but, listen to them and they are an essential part of the storyline. There is a stylish segue into the next track Life where an elegant acoustic guitar takes up the refrain backed by rain drop like keyboard notes. The vocal begins in an earnest and heartfelt fashion, adding a degree of pathos to the whole track. A subtle, ethereal song with a touch of real class, simple yet with more depth than we can really appreciate, almost touching on anthemic qualities with the repeated chorus and acapella ending, another voice over adding to the underlying narrative. Another light and airy introduction brings The Best & Brightest into the fold. Nearly venturing into the knitted cardigan sensibilities of easy listening before a funky guitar cuts through the schmaltz and brings it back into the world of progression. The vocals are cultured and the rhythm section is neat and precise but it is when the song goes a bit left-field that it is at its best even throwing in some smoky jazz stuff for good measure. Circuit Court begins with a serious 80’s synth heavy introduction and I’m thinking big hair and shoulder pads with the super smooth vocals and feisty bass line that just puts a smile on my face. There is a real feel of the decade that taste forgot running throughout this song, it is like a time machine has taken Earth, Wind and Fire to the future to remind people of what they are missing. Intentionally satirical or not, it doffs its metaphorical cap to the past with the swirling keyboard runs and sharp, staccato riffs. The brief solo really does make me smile with a sepia tinged, nostalgic hue. With an immediately more serious feel to it, Life at Any Cost has a much more progressive feel to it while still having a really heavy jazz smokiness to the underbelly. Meditative and contemplative with a knowing sensibility underlying everything, it is a real slice of sophisticated music, the chorus feels quite world wise and debonair. The instrumental sections are complex and multifaceted and give a deliberate and purposefully meticulous contrast to the more salacious tone of the rest of the song, leading up to a forcefully compelling guitar solo that hits all the right notes. The whole track then opens up and morphs into a progressive rock standard, grabbing your attention all the more. Whilst not re-inventing the wheel, 3RDegree put their own, not insubstantial, stamp on proceedings. What it Means to be Human has that cultured, multi-layered class of previous tracks on the album yet has a more emotional vibe running through it. The multitude of harmonies give a real feeling of Queen to the vocals then added to a progressive base to give something quite unique and unusual. Really inventive and intelligent songwriting full of humour and wit blends with the refined music to deliver something that really gels on all levels. An edgy musical introduction overlays that by now well versed synthesised robotic voice-over to begin We Regret to Inform You. A dominant instrumental section then follows with thunderous drumming, potent guitar work and a stylish bass line being led by stylistic keyboards. It all has the feel of an impromptu (if impressive) but tightly played musical jam session. When the vocals begin they have a decidedly straight forward tone, gone is the lush harmonising of before, making you sit up and take notice. The more serious tone runs to the end of the song, bringing the album and the allegorical storyline closer to the end. The final song on the album More Life sheds the synthetic feel and has a much more human aura to it. The vocals have feeling and passion in fact the whole track has a feel of rebirth, love and compassion about it. The refrain of the fourth track runs throughout and invests the music with a cathartic effect. the upwelling and outpouring of emotion feels almost real as it washes over you. It is like a musical chrysalis opening up and new life erupting out. This album is one that may not resonate highly with you on first listen but, like all the best releases, give it time and invest something of yourself in it and it will return that investment many times over. These guys know how to take progressive rock and get a little more out of it to deliver something familiar and yet, at the same time, intriguingly different. 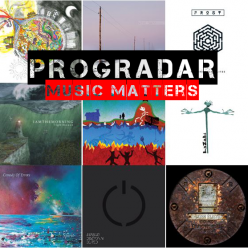 2015 continues to deliver some very high quality releases and 3RDegree have muscled their way well up that list.